Hearing this song took me back instantly to my grandparents' house when I was probably 8 years old. I was staying there while my folks were on vacation for the week. Being a self-entertaining-unit, I played that song over and over again during that week, trying to work up some kind of dance routine--because that's what 8 year olds do! Walking into dinner last night, I was transported to 8-year-old-me. 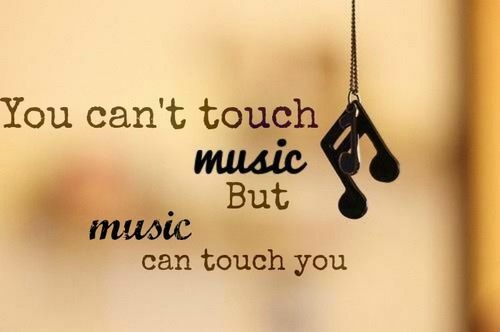 That is the power of music! And that is the power of Music Education. Our kids need it as music is an enhancer, a connector, a brain activator, an enlightener, an energizer, and it can make learning more fun. Luckily, there's an agent out there who is working to bring music to our classrooms. Her name is Linda Richards. Linda has come to Kickstarter with a new to music education program: S.L.Y.M.I. (Sing Like You Mean It!). 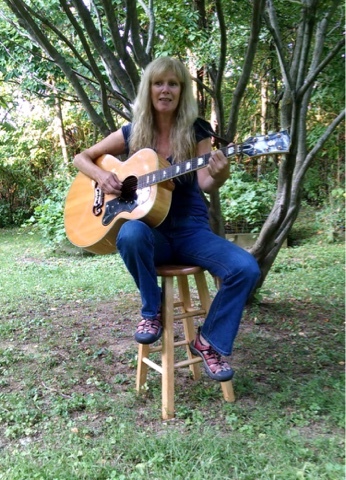 Her goal--to connect learning through song to capture concepts. I've seen Linda in action--she's a powerhouse full of amazing!! For 6 years while I was teaching at Eagle Cove School in Pasadena, Maryland, she was a touchstone & annual tradition to our Earth Week. 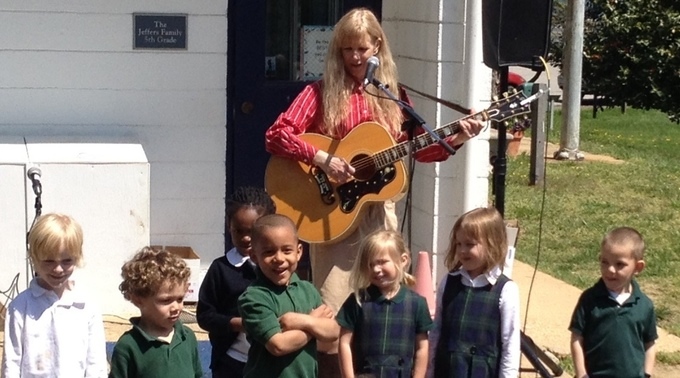 Visiting each class, Linda could get a group of kids (whether 1st or 5th graders) to whip up & perfect an eco-parody song in a half hour. The production at the end of the week was a magical, musical experience where students' self esteem soared while they performed their songs for the school community. S.L.Y.M.S's Kickstarter funding deadline ends October 25th, meaning there is still time to jump on Linda's "music bandwagon" and be one of her backers. You can go there to donate to her cause, as well as to learn more and see her perform her program's philosophy in song. concept building, raising social awareness, integrating curricular areas, connection making, & weaving in the wonderment of music.